This November, Sonoma County voters will vote on Measure M, an important ballot initiative that will protect organic agriculture by banning GMO farming and the contamination of nearby agriculture that often accompanies it. 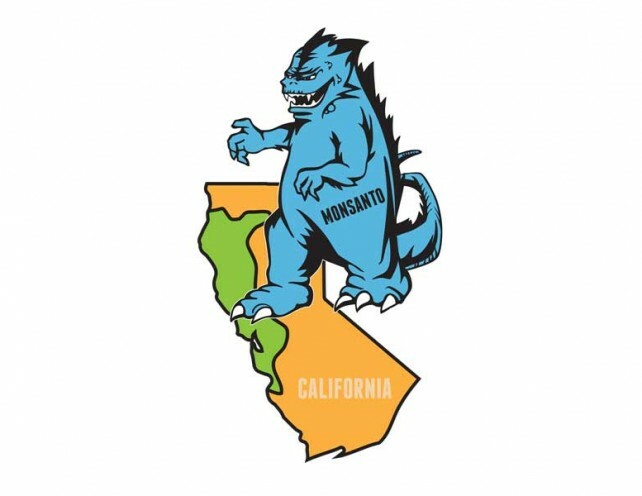 Measure M would allow Sonoma County to join five counties in California and three in Hawaii that, during the past decade, have passed common-sense public-safety laws to protect public health, organic agriculture, and clean water, by regulating farms that grow pesticide-soaked genetically modified organisms (GMOs). But a powerful threat to the very democratic right of our county and even our state governments to protect public health and the environment has been mounted by the largest agrochemical companies in the world. San Francisco’s Ninth Circuit Court of Appeals is currently reviewing three historic legal rulings that could determine whether the federal government will invalidate all county and state regulatory laws in order to protect the profits of the world’s largest agrochemical companies. As I wrote in this recent column about the upcoming ruling,at stake is the ability of local and state governments anywhere in the United States to protect public health and the environment from GMO farming — and the toxic pesticides that accompany their use. This is the emerging Monsanto Doctrine: the power of polluting corporations to do as they choose, in violation of any and all local or state public safety laws created to protect humans and the environment. As described in this short animated video, these government agencies, the Dept. of Agriculture, the Food and Drug Administration, and the EPA, operate like a revolving door enrichment scheme for those charged with safeguarding public safety. Unbeknownst to most Americans, the federal agencies responsible for food and environmental safety rely entirely upon cherry-picked, notoriously short term testing financed by self-interested agrochemical companies to determine whether the pesticides and genetically modified food that they sell are safe for human consumption. Last year the federal district court in Hawaii invoked Monsanto’s “federal preemption” argument to invalidate three separate Hawaii County laws that had been passed to protect public health. 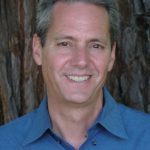 If the federal Ninth Circuit Appellate Court upholds these decisions and the Monsanto Doctrine powers that they grant, then the five separate laws passed during the last decade to create a GMO-free agricultural zone in Santa Cruz, Marin, Mendocino, Humboldt, and Trinity counties could be instantly nullified. The expanding power of the agrochemical industry’s ability to dictate government policy was showcased this summer by the U.S. Senate’s 63-30 passage of Senate Bill 764, known to activists as the DARK Act (for Deny Americans the Right to Know). Backed by Dianne Feinstein, half the Senate Democrats, and most Republicans, it was created to allow food manufacturers to avoid printing GMO labels on their products, and invalidated a GMO-labeling bill that was about to take effect in Vermont (as well as in any state that might pass one in the future). Syngentra, a multibillion dollar agrochemical company in Hawaii’s Kauai County, used the Monsanto Doctrine argument to get Hawaii’s federal district court to throw out a buffer zone of 500 feet for schools, homes, and hospitals from the spraying — on GMO test farms across the island — of massive quantities of undisclosed, experimental toxic pesticides. The world’s six largest agrochemical corporations operate more than 1,100 experimental farms across the Hawaiian Islands, where they spray enormous quantities of pesticides on genetically modified crops to see which genetic mutations can survive. These companies make more money selling pesticides like Roundup than they do on GMO seeds, so creating “Roundup-ready” crops — like more than 90 percent of the soy grown in the United States — allows them to profit twice: by poisoning the earth’s weeds, pests, and soil, and then by selling the pesticide-soaked GMO food and feed that survives. The agrochemical industry has been long accused of corrupting the Food and Drug Administration, the Department of Agriculture, and the Environmental Protection Agency with a revolving-door enrichment scheme for regulatory officials. Now, they are winning legal claims that the government agencies created to protect public health should instead serve as legal shields to protect corporations from any and all public safety regulation by local and state governments. After the federal District Court of Hawaii ruled to invalidate Kauai’s pesticide regulation law — as well as a GMO initiative passed in Maui and a bill passed by the Hawaii County Council — some of the nation’s leading food safety organizations (including the Center for Food Safety, Maui’s SHAKA Movement, the Pesticide Action Network, and Earthjustice) stepped up to appeal the ruling to the federal appellate court. Judge Callahan was rightly concerned that if the Monsanto Doctrine enforced by Hawaii’s District Court is upheld by the Ninth Circuit Court of Appeals, the ruling could be the environmental equivalent of the notorious Citizens United case, granting “corporate personhood” powers to some of the most powerful multinational polluters on earth. A little later in the hearing, Chief Judge Thomas, directly confronted Richard T. Bress, Monsanto’s top attorney. “I gather your position is if the State of Hawaii adopted the language that was identical to this ordinance, that that would be pre-empted?” he asked. Karen Hudson, the campaign director of Citizens for Healthy Farms and Families, is a grassroots leader who worked for the past year to get a GMO farm ban on Sonoma County’s November ballot. A retired schoolteacher and, like many activists in the safe food movement, a grandmother, Hudson and dozens of volunteers envision Sonoma County joining five other nearby counties as a “GMO-free growing zone” along the Northern California coast. Hudson is quick to observe that GMO farming bans are important to the local economies in Northern California, where businesses like Straus Family Creamery thrives on organic agriculture. Indeed, 80 percent of all the dairies in Sonoma County are organic, commanding more than double the price of conventional dairy. Agriculture is the county’s largest business, bringing billions into the local economy each year.